Kevin Durant will be the biggest free agent in the NBA this summer which means he'll have a huge decision to make as far as where he wants his career to continue. 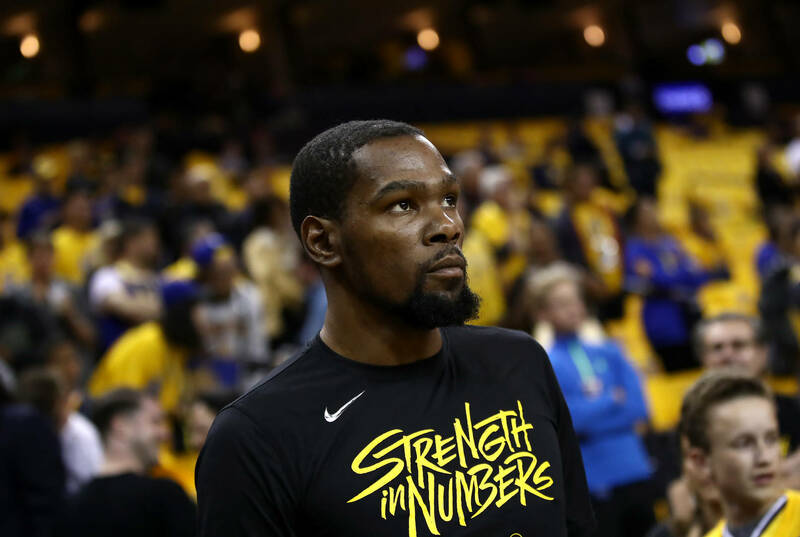 With two NBA titles in just two seasons in Golden State, Durant has cemented his legacy but as of right now, all signs are pointing to Durant wanting to leave to go be his own player. Many pundits are saying Durant will end up signing with the Knicks who just came off a last-place finish in the league. Durant addressed all of the rumors recently, saying he just wants to focus on the playoffs and that a decision won't be made until afterward. "If I already made a decision, it would take away from the team, what we're fighting for. Every play would be overshadowed by it," Durant told The Undefeated. "It is not necessary for me to make a decision right now. It would be bad to do that. It would take the focus off of what is important. I would never want to put my teammates in a messed-up position. I want to forget about it." Durant is aware that his team could win the championship for a third-straight season and he doesn't want to get in the way of that. For now, he's just focused on playing his best basketball. Regardless of where Durant goes, it's going to be a fun offseason.